Petite et la Gross is a Cajun band featuring some old faces and some new - Hazel Scott on guitar and vocals, Lil Jim on Cajun accordion, Mitch Proctor on fiddle, and the UK’s “Cajun godfather” Chris Hall on drums. Petite et la Gross is a Cajun band featuring some old faces and some new – Hazel Scott on guitar and vocals, Lil Jim on Cajun accordion, Mitch Proctor on fiddle, and the UK’s “Cajun godfather” Chris Hall on drums. Formed at the start of 2008 they have already been booked by all the major Cajun venues: Cajun Barn, File Gumbo Club, Cajun UK, and have made main stage appearances at Gloucester International Cajun Festival, Bristol Cajun Festival, Broadstairs Festival, London Mayors festival, EFDSS Folk Arts Lets Dance Fest, Newark Jazz festival and played headline slots at the prestigous Saulieu Festival in France. They have all also just recorded a TV appearance at Pinewood studios for BBC TV on a brand new show for Cbeebies that is set to show worldwide in 2010. All this and a brand new album that is set for release summer 2009 showcasing the sound that has already earned them many fans both here in the UK and amongst those in the know in Louisiana! Lil Jim is only 21 years old but has already established himself as one of the brightest hopes for the future of this music in Europe. He’s already played major festivals in Holland, France, and Germany and of course the UK where audiences have been amazed at his natural talent. Hazel Scott likewise has played all over Europe and in Louisiana and has astounded Cajun fans and musicians with her amazingly authentic vocals and driving guitar style. The two together form an awesome new sound. Backing them up are Mitch Proctor who needs no introduction as he plays fiddle with several of the top UK bands and has a reputation as one of this country’s finest Cajun players. Last but by no means least is Chris Hall who has played and recorded with many major names including Paul McCartney, Bill Wyman, Kate Bush and his own bands R.Cajun, The Bearcats, Zydecomotion and Cajun Roosters and is widely recognised as the foremost authority on, and exponent of, Cajun music in Europe. He has a reputation for putting together bands that always hit the spot and in Petite et la Gross he proves once again that Cajun music is alive and well and showing new roots here in the UK. 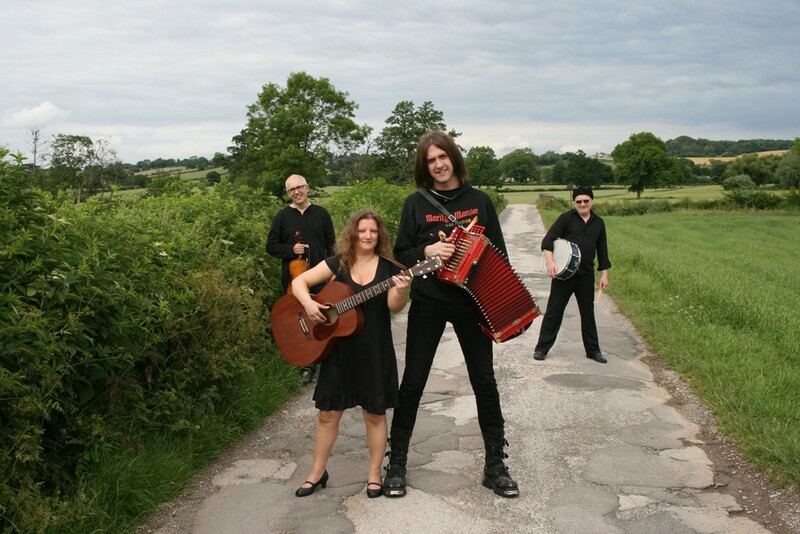 Put simply the band make effortless traditional Cajun music of high calibre played with passion, skill, grace and attitude. Its the band that everyone is talking about. The big and the small. Petite et La Gross! More specifically they specialise in some of the less well known Cajun songs gathered from old recordings and unreleased archive materials found in private collections and in the Louisiana Archives and Library of Congress, played with a modern edge that brings the music to life. Be prepared for an awesome new sound. High quality Cajun music that will move your heart and feet.